Quat-based, neutral pH, broad-spectrum antimicrobial solution. Kills 99.999% of bacteria in just 60 seconds. For use on food contact and non-food contact surfaces. 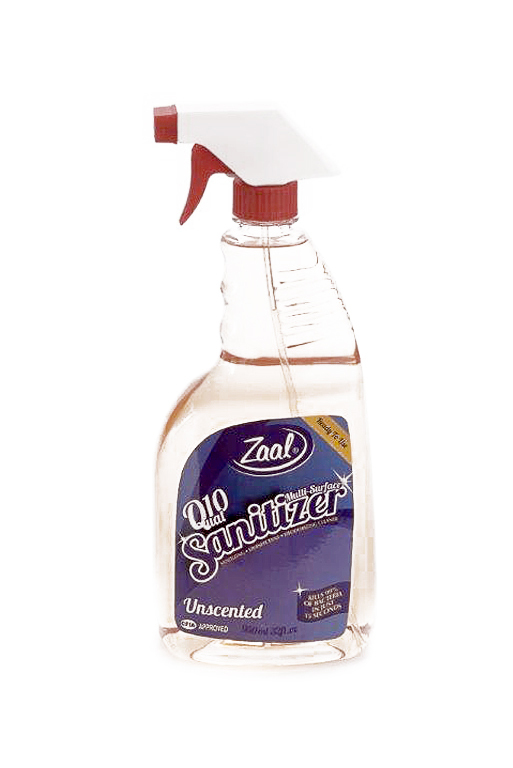 CFIA-registered disinfectant formula that disinfects and cleans hard, nonporous surfaces. Effective against Adenovrus type 5 ,herpes simlex 1 &2 influenza 2a, HIV-1, MRSA, VRE and other pathogens. Quat Disinfectant Cleaner is a ready-to-use Cleaner, Deodorizer, Disinfectant, Virucide, Tuberculocide, Mildewstat, and Fungicide. Ready-to-Use is not for use on critical or semi-critical medical device surfaces. Remove gross filth or heavy soil prior to application of the product. Hold container six to eight inches from surface to be treated. Spray area until it is covered with the solution. Allow product to penetrate and remain wet for 3 minutes.